There’s long been a cultural history of fish as predators. Popularized by the movie Jaws in the 1970s, we have a fear of big teeth and that fin just out of the water. But decorative koi are not sharks and they can easily find themselves prey to other animals lurking in your neighborhood. So how can you keep predators away from koi ponds? 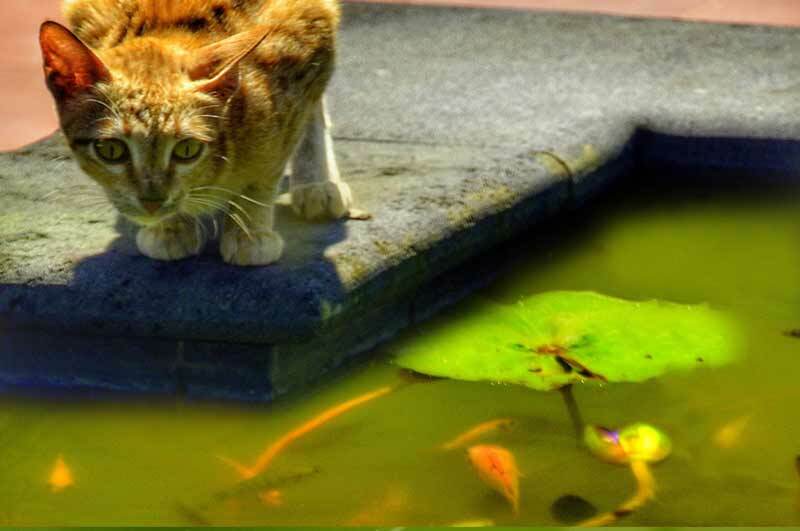 Is your neighborhood cat going fishing in your yard or is there more you should know about? You may be worried that coyotes or the cat next door may be the culprit when it comes to picking off your fish, but before you go pointing fingers, it’s important to make sure you’re pointing the right way. 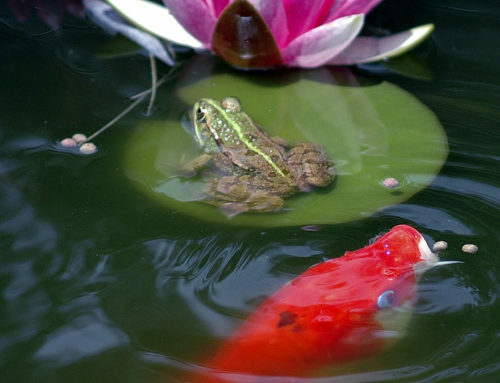 There are a lot of predators that could be responsible for disappearing koi. With the use of technology, like security cameras, more homeowners are pinpointing the real offenders. The most common in any area is the raccoon. They’re smart and hungry little animals and excellent fishers. These little guys are cunning and not afraid to wade into the shallow parts of your pond to steal your fish. Birds are the other most common predator in the area. In fact, the one that poses the most danger to koi ponds is the heron. There are a variety of species, but the Great Blue is likely your greatest threat. Once you know what to watch out for, day and night, you can take steps to prevent them from attacking or stealing your fish. Build a fish cave. If you have a place where your fish can go to escape from potential predators, you reduce your risk of theft. Set up a decoy. 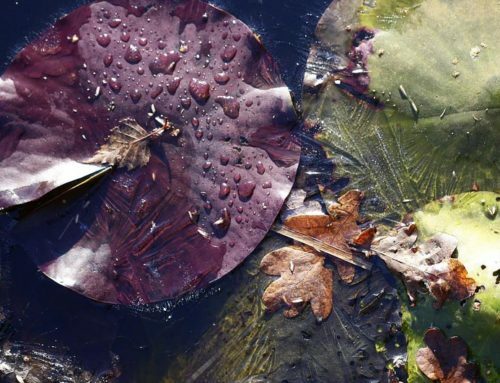 Just like a scarecrow or a ceramic owl in your garden, a decoy can be just as effective in your pond. Choose a territorial bird statue, like a swan or blue heron, or a natural predator for the bird itself. Alligator statues have been shown to be effective. Install a motion sensor. You may also deter predators, especially nocturnal ones, with a motion sensor light that will scare them when they approach your pond. Use cover plants. 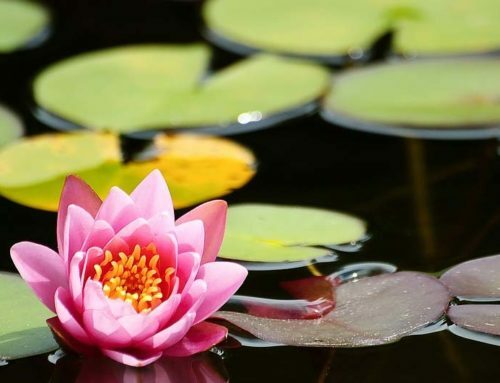 You can also plant water lilies or other cover plants to give your koi a chance to hide when a predator approaches. Get a dog. It has also been shown that dogs can deter raccoons, birds, and other predators from your yard. Not all dogs are up to the challenge, but a breed that is known for birding such as a spaniel will help run them off. Some pond companies recommend a cover net or crisscrossing fishing line to trip up birds and other animals when they try to get into your pond. However, it’s important to note that these deterrents can be dangerous to other birds who do not pose a threat to your pond. 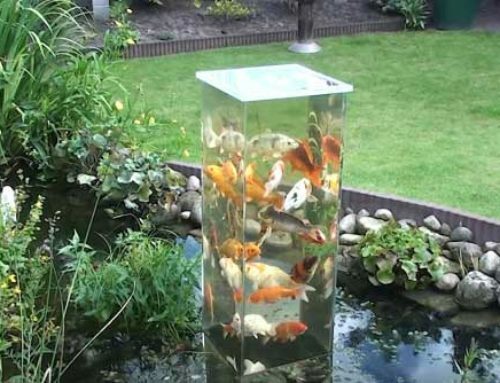 This advice on how to keep predators away from koi ponds are just the tip of the iceberg. 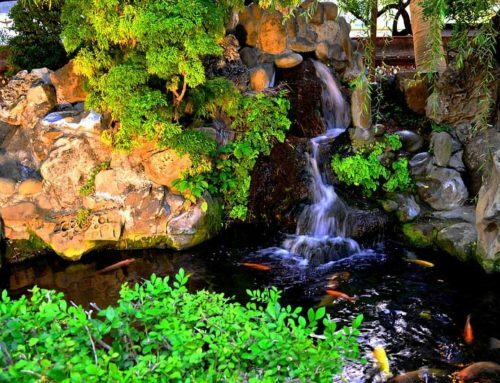 To know more about your koi pond and keep fish safe, contact Chuck’s Landscaping today.